The world famous German manufacturer of cars, scooters and motorcycles, BMW is known for providing the highest levels of performance and luxury along with peerless build quality. A major force in the European auto market, Bavarian Motor Works has been associated with craftsmanship and utility for nearly a century. Known primarily as a manufacturer of luxury vehicles and high-end motorcycles, the company has successfully set the benchmark for prestige motoring and created a standard now fiercely contested by all other premium marques. 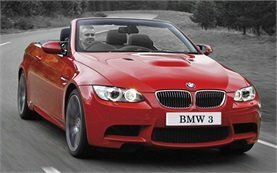 BMW has become a by-word for advanced engine technology and sharp, sporty driving dynamics. In every market sector where its products compete, BMW is at the top of the class in terms of driver enjoyment. The smooth handling, reliability and style of BMW ensure that car, scooter or motorcycle hire drivers, once sat behind the wheel, will look no further for their vehicle hire. BMW's power plants are amongst the finest you will ever find. If you are considering indulging into the luxury and technological excellence of the BMW brand on your trip in Bulgaria, look no further. 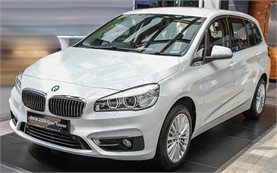 If driving is your passion and you want to experience it during your car-, scooter- or motorcycle hire in Bulgaria, BMW is the brand that speaks your language.